Questions by Cristina @ My Tiny Obsessions. Do I really have to pick one? Among my favourites, I think I’l go with Harry Potter series but the list is just too long! Despite it’s not so great ending, I love How I Met Your Mother the most. It makes you laugh it makes you cry it makes you feel a lot! Titanic hands down! It’s my one true love and as a child I wanted Kate and Leonardo to be together forever and it literally broke my heart to pieces when I found out they were dating other people. Gone with the Wind! No movie is a ditto copy of the book they always leave out something but this is definitely my favourite adaptation. For this question and the next I’ll go for one from Hollywood and one from Bollywood. Shahrukh Khan and Johnny Depp both are too hot and extremely good at what they do. Deepika Padukone is one of the finest Bollywood actress and Emma Watson is a perfect model of beauty with brains! Three authors, three different genres and pure unadulterated magic – Jane Austen, J. K. Rowling and Lisa Kleypas. They are not just my favourite authors but my inspiration too! Does manga count? 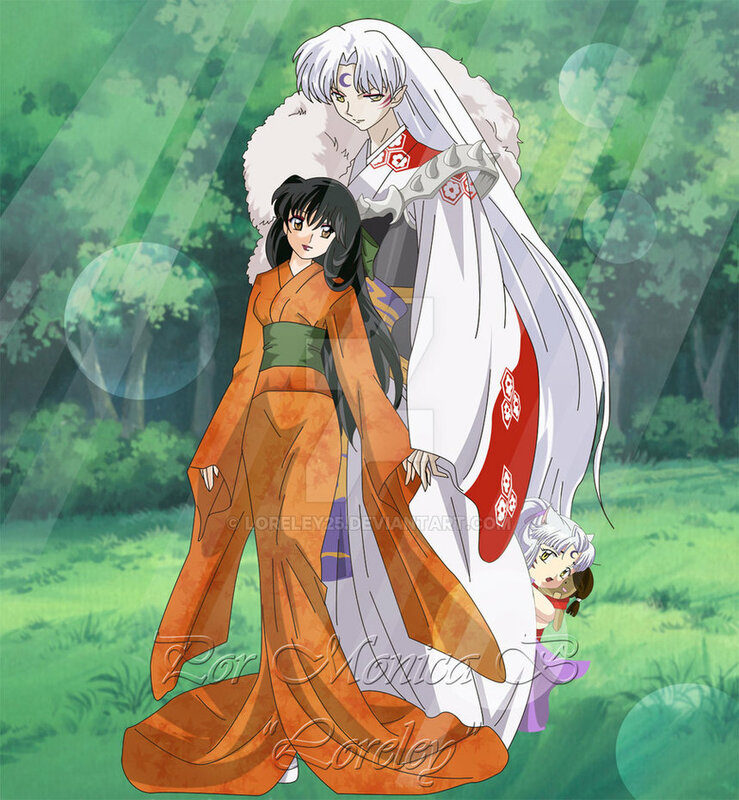 Because I totally ship Lord Sesshoumaru and Rin from Inuyasha. Yes I know Rin is a kid but she’s going to grow up some day and Sesshoumaru being a demon he’s not really going to age much. It would be Emma Swan and Captain Hook from Once Upon A Time. Also Arnav and Khushi from Iss Pyar Ko Kya Naam Doon. I’d ship Manu and Datto from the Bollywood movie Tanu Weds Manu Returns. I love Tanu no doubt about it but Manu would be better off with Datto. It’s question like these that make me realise how many embarrassing situations I get in. 😀 Once while traveling in Metro a girl sitting (squashed more like it) beside me was reading some great book and I couldn’t help it and started gushing about it. She just smiled at me politely. I think Albus Dumbledore from Harry Potter and Gandalf from Lord of the Rings would make a pretty magical pair. A book that made you sob? Oh it doesn’t take much to make me cry at all and I get teary eyed at every emotional part in a book. But Harry Potter has definitely made me cry the most.. so much that I could literally fill buckets. I think I’d rather lose my feet than hands. I need them to write! A book that made you seriously think about? I recently started reading The Diary of Anne Frank by Anne Frank. It’s hard to imagine such a young girl write so passionately about matters that are beyond understanding for some. If you had to sacrifice one book on your BOOKSHELF, which one would it be? The Tower of Evil by James Kisner. It’s the most ridiculous thing ever! Do you care if people ask you what you’re reading when you’re reading? If I’m thoroughly engrossed in a book then it irritates me no end to be interrupted. Otherwise I’m happy to spread the reading bug. A book with a super pretty cover? Ugly cover? Memoirs of a Geisha by Arthur Golden. It’s also one of my favourite novels. And I know it’s presumptuous of me but I usually go for a book whose cover I like, so nope, I haven’t found any book cover ugly, yet. If you could be a supernatural book being/character for a day, who would you be? I would be a witch studying in Hogwarts for sure! A character you just looooove to hate? Dolores Umbridge from Harry Potter. I don’t think there’s a single person in this world who would like her in a bit. You know one might actually feel sorry for Voldemort but Umbridge is pure evil! I loved it! Thank you for nominating me. 🙂 In my mind, the mother and Ted lived together forever and that last episode was a whole lot of swill! We can’t let that one hour ruin nine years of fun. I wish I could do that with HIMYM, but I can’t. The creators managed to destroy it for me. The regression of all the characters development, especially Robin and Barney, was super sad. And given that the whole story is narrated by Ted, it made me doubt all his perspective on what he was telling his kids. They truly ruined Barney and Robin’s character. I feel truly bad for the mother if Ted was still pining after Robin. And if Robin can really pick career over Barney then I think she would do the same with Ted. You’re welcome! 🙂 I’m sorry for the late reply but my net connection has been crappy lately! And you must watch the movies Kangana has done an amazing job!